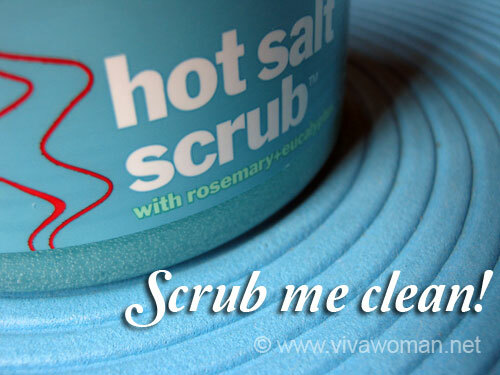 Regular exfoliation like once or twice a week is essential in a skin care regime. 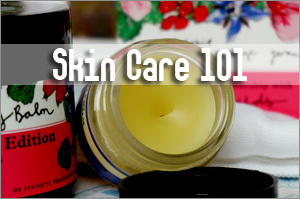 In fact, it results in clearer, smoother skin because it helps remove dead skin cells on the epidermis. Additionally, regular exfoliation not only improves the surface appearance but the function of the skin as it allow better penetration of the active ingredients in toners, serums and moisturizers. 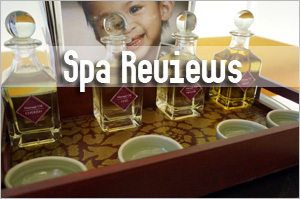 The idea of exfoliation may come across as harsh but really, it need not be so. Instead of mechancial exfoliation via a facial scrub or chemical exfoliation using AHAs, BHAS, retinoids, fruit enzymes, salicylic or glycolic acid, there are gentler alternatives. I’m going to take you through five of these alternatives. Most of them have been covered one time or another on this blog but this is the first time I’m putting them altogether in one post. Yogurt is a natural AHA which contains lactic acid. While it may not work as quickly as those commercial AHA based products, those of you who use this ingredient will agree with me that this is really great for the skin and itâ€™s so affordable. 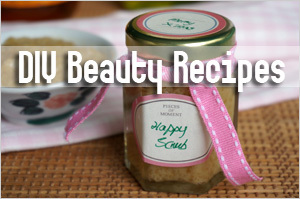 In fact, this will make a great exfoliant without causing sensitivity to most skin types. Iâ€™m not sure whatâ€™s the concentration of AHA in the yogurt but the pH level is definitely under 5 and so most people can use it quite regularly. And by using this ingredient at least twice or thrice a week, you may find your skin tone evening out and some of your pigmentation or acne scarring marks actually lightening up over time. Sponges, like those konjac type, help to exfoliate the horny layers of your skin and hence, it can aid in reducing acne marks. I had two pimples around my mouth that were slowly healing but the marks were taking awhile to lighten up. After I started using the konjac sponge to cleanse my face twice a day for about two weeks, I noticed the marks healed better and lightened up. The only problem with using sponges is, you need to ensure they’re properly dried so as not to be a breeding ground for bacteria. This is probably something many of you are familiar with. However, your choices of wash cloth is important. The texture should be soft and not rough. These days, you have special mitts for exfoliating purposes and all of them are said not to affect the skinâ€™s natural acid mantle. Again, like the sponge, wash cloth must be properly cleansed and dried to prevent bacteria breeding. 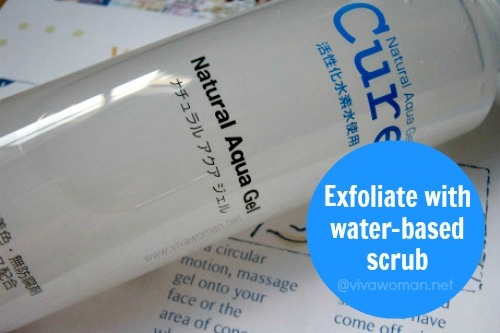 Products like Cure Natural Aqua Gel, which contains 91% water are gentler as a face scrub and suitable even for sensitive skin. 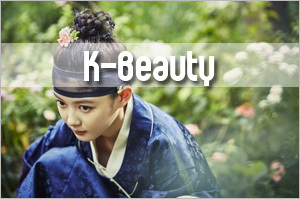 The product helps to remove the dead skin and dirt to support the natural regeneration process of our skin. How it works is that it regularizes your skin turnover by gentle peeling, removing dead skin and necessary proteins, making your skin smoother, brighter and softer. 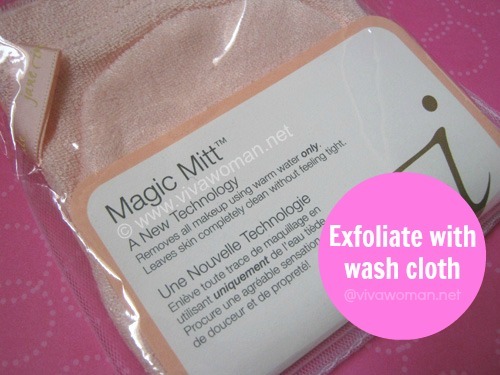 In 2010, I wrote about using a cotton pad to exfoliate in place of a wash cloth because I find them more hygienic. Just use and throw. No need to wash and air dry and no need to worry about bacteria accumulation. But of course, one piece is usually not enough because of the way I use. So wastage is considerable. What I do is Iâ€™ll set a mask on my face and when it comes to the time to wash off, I donâ€™t just rinse with water. Instead, I rinse and then use a few cotton pads to remove the residue. By doing so, it helps to clean off the residue from the mask completely. At the same time, Iâ€™m also exfoliating my skin. 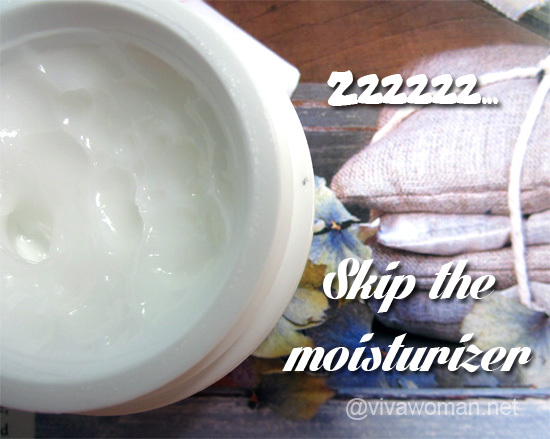 My skin always feel soft and supple afterwards. Of course, compared to a scrub, this is not as effective but still, it will remove some of the dead skin cells and it is more gentle for my skin. 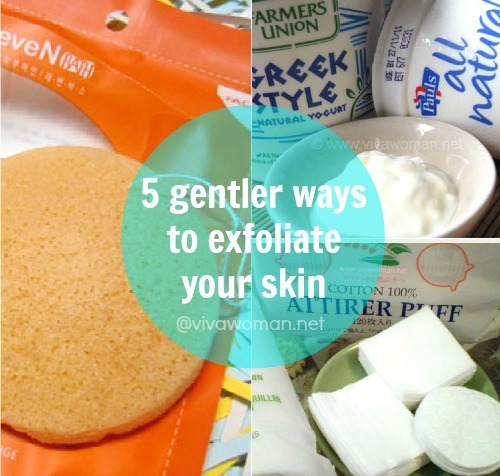 Do you use any of these gentler alternatives to exfoliate your skin? If so, which is your favorite? 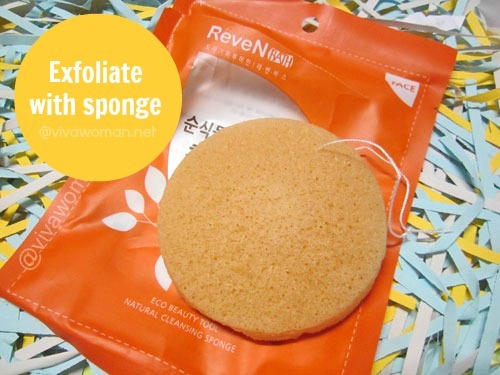 Or do you have other favorite exfoliating routines you can share with us? I regularly exfoliate with a microfiber washcloth and cotton pads. I’ve tried the microfiber washcloth too but some of them are a little “rough” for my liking. It’s great huh? I think I’m going to order a new one soon. I am using cotton pads saturated with witch hazel on my face, and twice a week i mix powdered milk with lemon which also acts as a mask . On my body i use coffee mixed with yogurt and coconut oil, my skin feels so soft after every bath. Wow, you have a great exfoliating routine all round! Not exactly sure what you mean but I suppose you’re not washing off the hydrating masks completely. Actually it shouldn’t be a problem but the instructions always state so because of the concern of clogged pores. Definitely! 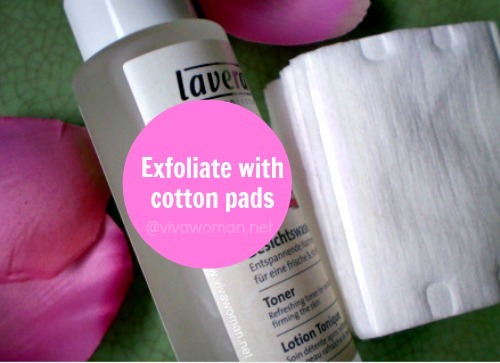 If you use toner with cotton pads, it’ll help rid some of the dead skins. I like to add oatmeal to yogurt, it works quite well, too! Yes, oatmeal is great with yogurt. Another favorite is coco powder! Smells delicious! 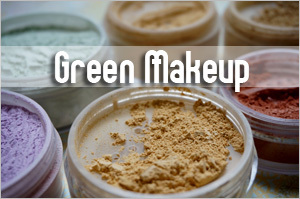 Oh green pea powder is nice…I tried it and it works as a gentle scrub. I’m so glad it helped with your cystic acne! I like to mix clay with honey or oils, scrub my face with the ‘mud’ then leave it on as a purifying mask. I am sometimes guilty of scrubbing my face way too often but because dry powdered clay has a very fine texture, it doesn’t irritate my skin as much. I have a friend who tried the coco powder but was not impressed, she uses the yogurt and says it gives her the best results. I never realized there were soooooo many options. I like the coco powder most for the smell…the best for performance is still oatmeal powder with yogurt. Oh yeah…nice tips about adding the brown sugar and oats! 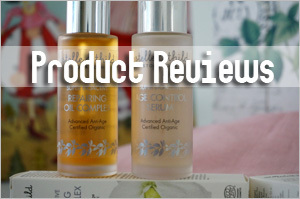 I have very sensitive skin and used to struggle with any harsh scrubs. I also used to have quite oily skin so the more I used a scrub, the more oily my skin got until I slowed down a bit on exfoliating. 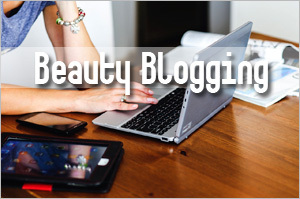 Joanne last post is: Buy Triactol Safely With A Perky Discount Too! I love these ideas! I have a few questions about the yogurt- I’m assuming we should buy unsweetened and unflavored, but what about different kinds of yogurt- goat’s milk, coconut milk- will these work the same way? I wonder if you have a lactose allergy would it be dangerous to put on your face? Yes, unsweetened and unflavored. As for the different kinds and if they’ll cause lactose allergy, I doubt so because they won’t get absorbed into the deeper layers of the skin or into the bloodstream. However, there could be a possibility of the yogurt getting into the mouth accidentally so on that count, it’ll be best to avoid those that you know can cause allergy. Yes, agree…those store-bought variety are largely quite coarse and harsh on the skin although I’ve come across some really fine and gentle ones too. However, I think this is an area where many DIY ingredients can work well and so, unless one’s intent is to splurge, why not save and use homemade stuff? Thanks for the info on mild ways to exfoliate the skin. I have sensitive skin, so I am really not into all those harsh/coarse skin exforliating products. 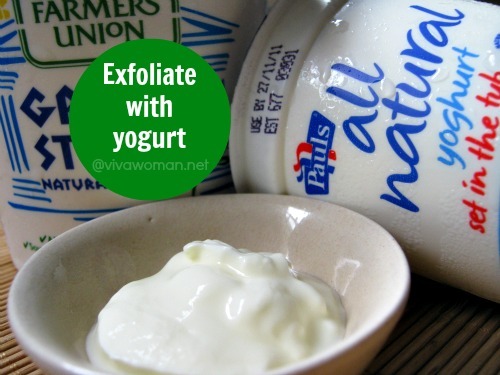 Oat + yogurt + brown sugar is my favorite – cool and gentle on the skin and very effective as well. I like oat and yogurt…don’t really use sugar a lot except on my hands and lips. I agree, some of the store bought brands feel like sandpaper! good idea talking about the brown sugar. Smells so nice also. Brown sugar is okay but I wouldn’t use them too often too cos I find them slightly abrasive for my skin. Somebody told me that pineapple is a really good exfoliator, is that true? 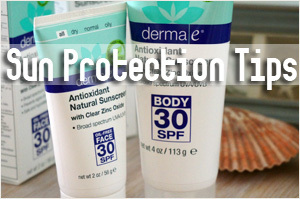 I am reluctant to use it on my skin as I am prone to breakouts. I am looking for something that is gentle enough on my skin but also powerful enough to get rid of my pimples. What would you recommend? It’s true but pineapples stings the skin too. I tried using it once and that was it. To get rid of pimples, clay masks are the best. They’re pretty gentle and draw out the pimples. However, be prepared for them to surface as clay does that. 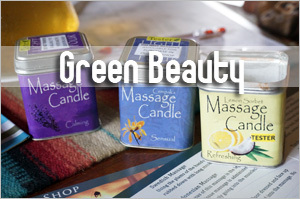 If you can apply some tea tea oil over, it will help to soothe and reduce inflammation. This may sound weird/crazy but I shave my face for gentle exfoliation. It gets rid of all that baby hair/dead skin cells on the face and keeps my skin smooth and clear. Dermatologists have a fancy word for it: “dermaplaning.” Every morning I just take a bit of extra virgin cocnut oil, rub it on my skin and shave my face with a small disposable razor, then wash my face as normal. They say one of the reasons men age well is because they shave!! I believe it!! I will never go back to harsh scrubs again. Shave? Oh wow…first time hearing of it. I guess it helps to get rid of the dead skin but won’t it makes the skin rough to touch? Actually it makes the face very soft, literally like a baby’s bottom 🙂 Google “shaving face women” for more info. It is a big secret in the modeling world for having a smooth, clear face. 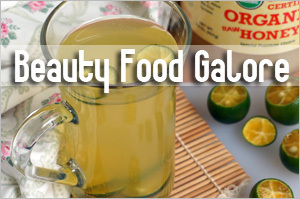 Papaya mask ,baking soda mix with water ,olive oil with sugar,almond powder mix with water .,I heard about sandalwood powder(did’t try it yet).The jogurt ,oats mask what kind of oats do You use ?and do you just rub your face with it or use it like a mask ?Thanks for any advices. Great tips 🙂 I’ve always found that exfoliating with cotton buds is the most hygienic and practical for me. I think everyone has their own methods though. I am a big believer of exfoliating regularly. I use an epilator on every part of my body. The number one thing to prevent ingrown hairs is to exfoliate, so I’m always looking for great ideas. Thanks for the post, great info! Great tips ðŸ™‚ Iâ€™ve always found that exfoliating with cotton buds is the most hygienic and practical for me. I think everyone has their own methods though.